Easy-to-use menus make programming simple in eight languages. Select units, set high/low setpoints, and all other functions in plain language. 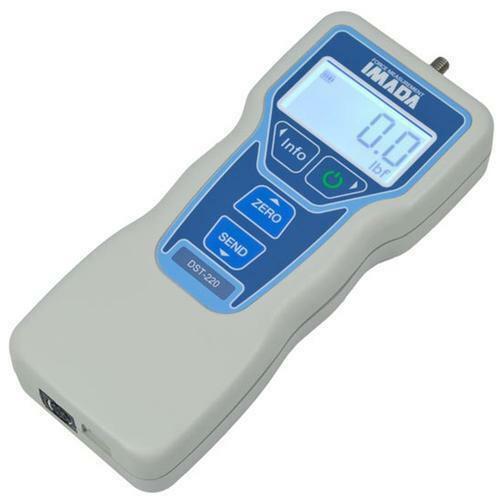 Imada DST digital force gauges are simple-to-use basic gauges featuring user-friendly menu operation. Selections including unit and measuring mode can be locked to prevent accidental changes. The large backlit LCD display can be configured in basic format to show value, unit and measuring mode or multi-line format to display peak and real time values simultaneously. Additional features include reversible display and high/low setpoints with OK indicator for Go/No Go testing. The gauges have a 30,000/sec sampling rate. Collect the data via USB or RS-232 connections with the included Force Logger or optional SW-1X software. DST gauges are powered by rechargeable Ni-MH batteries or the AC adapter/charger. The batteries are user replaceable and can also be charged using USB ports or USB portable chargers. 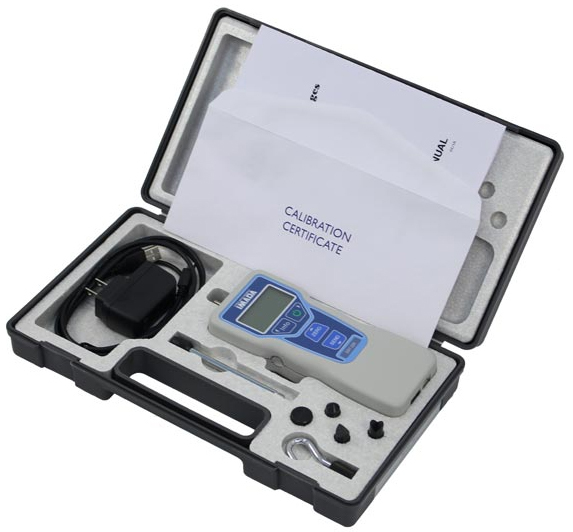 All DST gauges are sold as kits complete with gauge, carrying case, six attachments and AC adapter/charger. 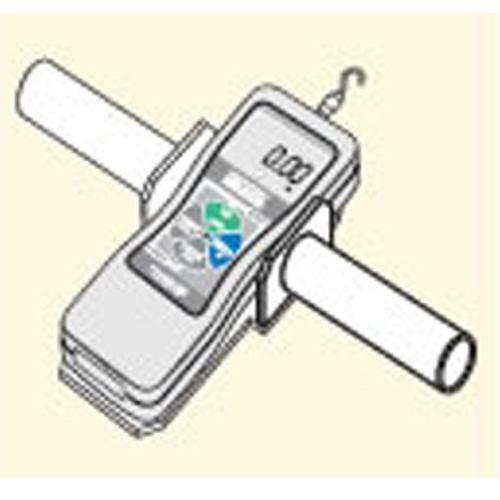 Force Logger (optional) - Available to users who need to collect peak data. Please Call 800-832-0055 or email us. 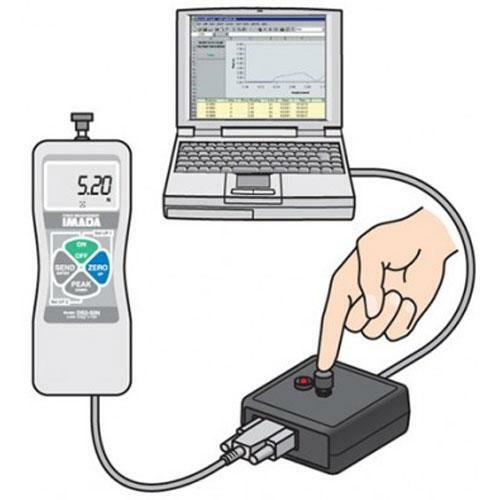 SW-1 Data Acquisition Software (optional) - Capture and analyze real-time data from any Imada gauge with a USB or RS-232 port directly into any Windows program. Log measurements and generate a profile graph plus statistical information. Control the gauge functions from your computer. 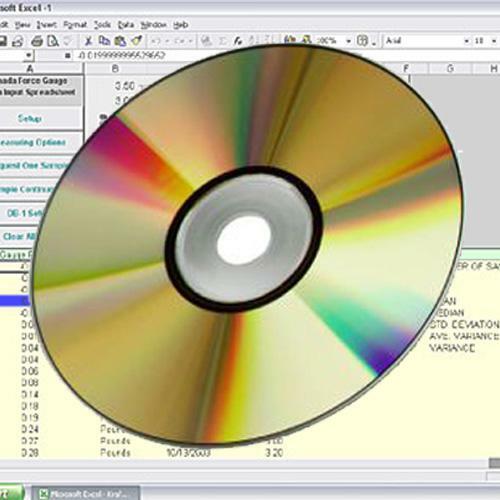 DB-1 Data Input Button (optional) - DB-1 is a compact, one channel interface that enables users to send measurement data to a PC running SW-1X, Imada data acquisition software or other software. The data input button ‘zeros’ the gauge after sending data to the PC eliminating the need to reset manually. Audible alarm and indicator flashes beyond 110% of F.S.